Distinctive in the same grey coat. 🙌 Amser dathlu, amser Sgorio! A Llanelli Town supporter can often be seen behind the goal celebrating in the same way when the side score in front of him. 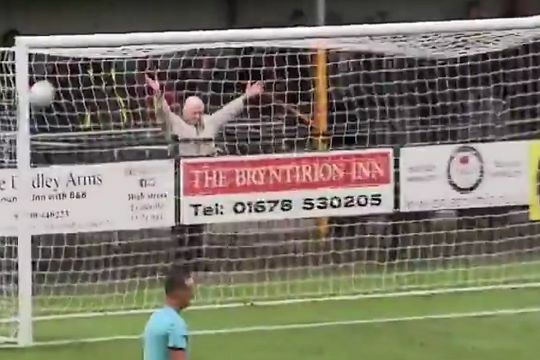 Usually at the front of an empty stand, in the same grey coat, a super fan known as Dai throws his arms in the air each time the ball hits the back of the net in this compilation published by Welsh language TV channel S4C. Llanelli Town AFC are a historic Welsh Premier League side that had to be reformed in 2013 following a winding up petition from HMRC.